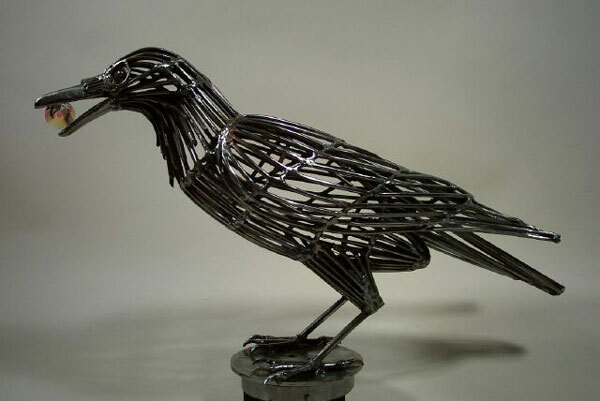 My latest creation is a steel sculpture called ‘Cawcuss of Crows’ installed March 2012 at 2200 Douglas Rd in Burnaby. 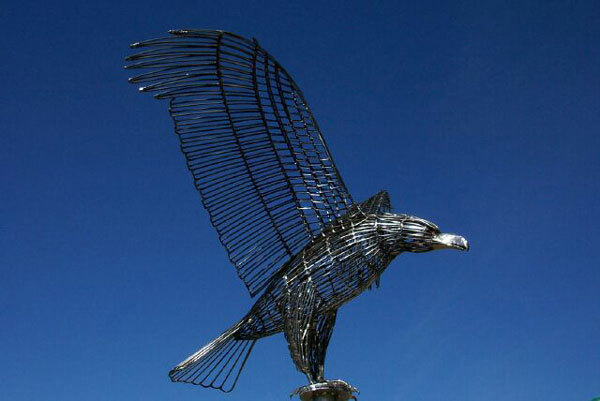 This fun piece was a collaboration between myself and another sculptor named George Pratt. 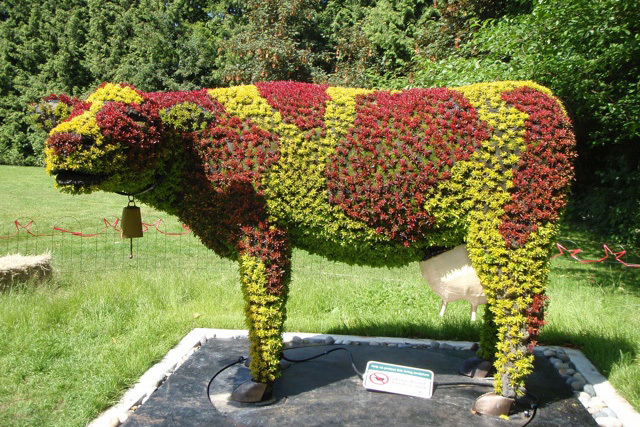 Last summer I installed a larger than life Eco sculpture of a Milk Cow and Calf for the Burnaby Village Museum. 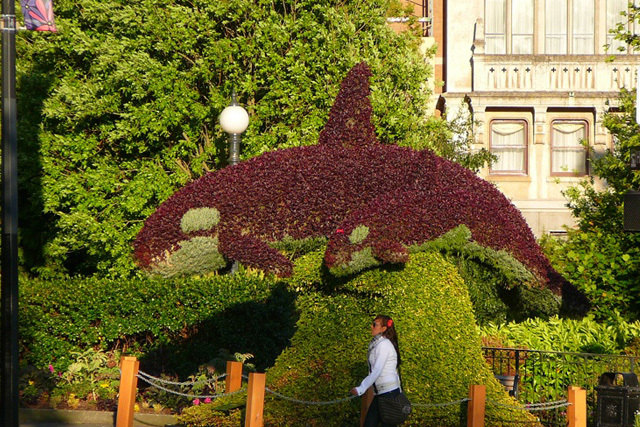 Previous to that I was busy creating an Orca and calf Eco sculpture for the City of Victoria. 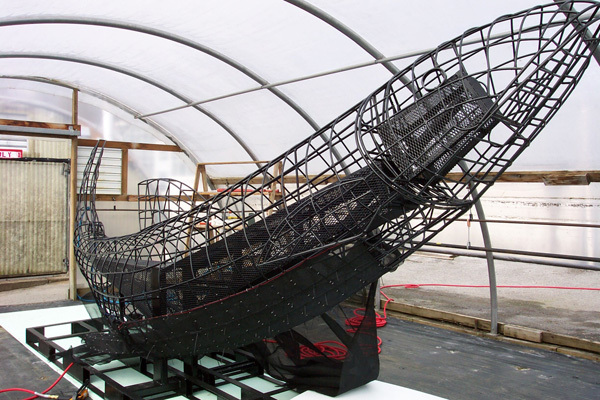 It measures 14 feet in height and 21 feet in length and weighs in at about 11,000 lbs. 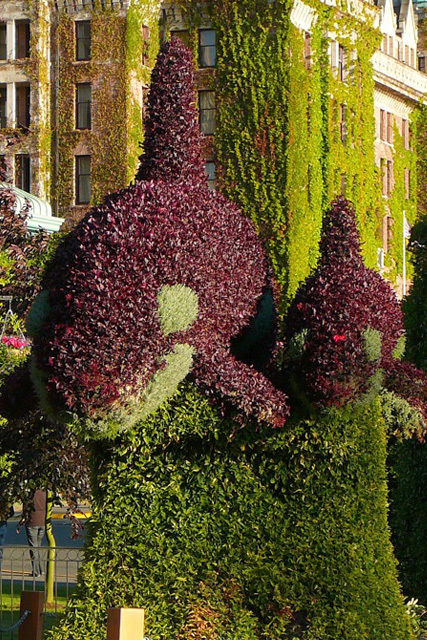 It’s installed in front of the Empress Hotel in the Inner Harbour. 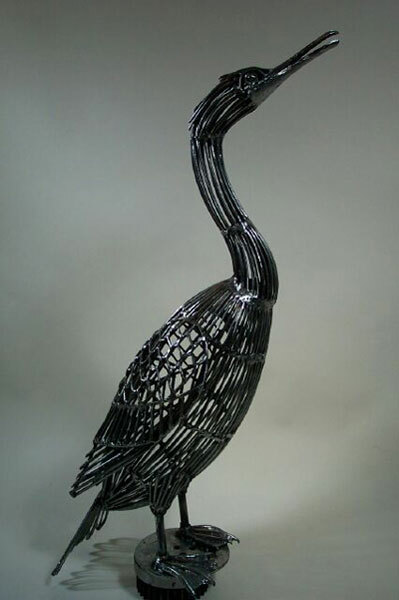 I also built an Eco sculpture for the Port Coquitlam Library. It is a 5 by 7 foot book with Peter Pan and Tinker Bell flying from the pages. 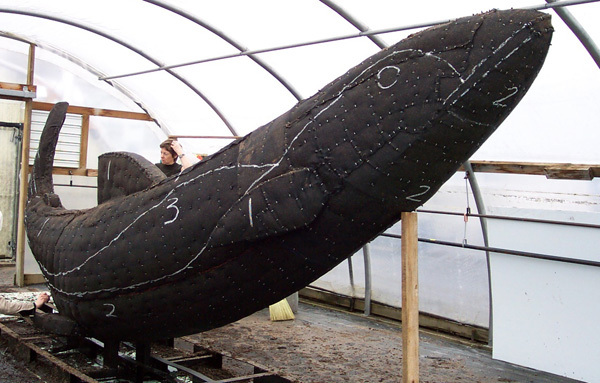 In 2009 I was working on Eco- sculptures for the World Police and Fire fighter Games. 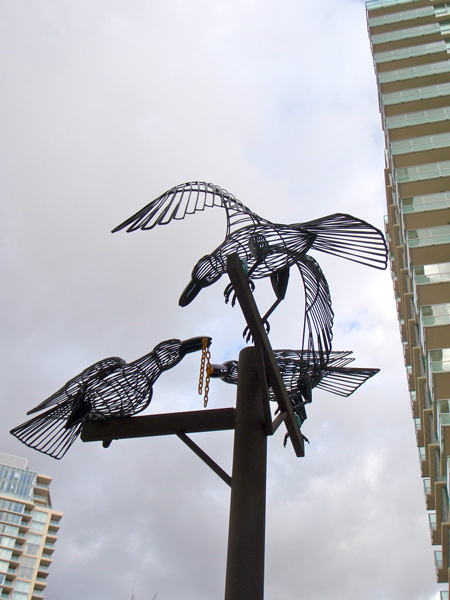 The City of Burnaby hosted the games and commissioned me to do six pieces ranging in size from 7 feet to 14 feet. 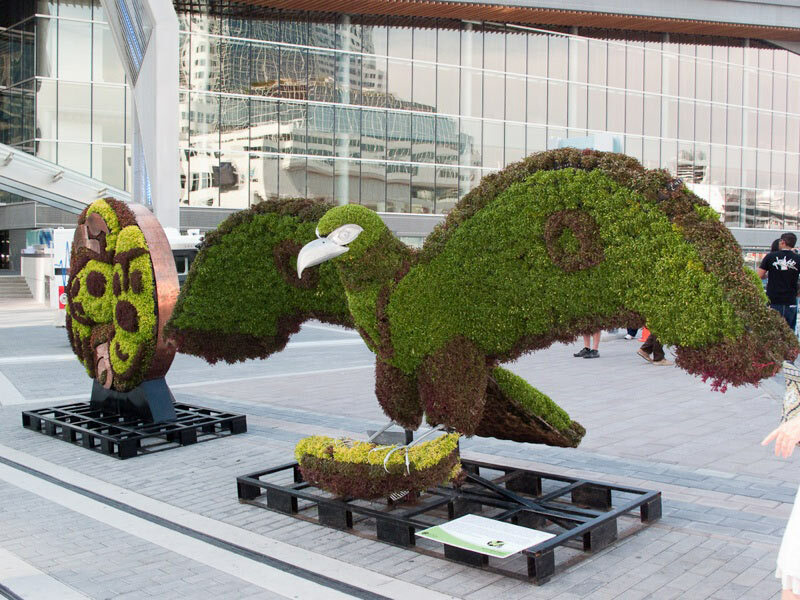 These were placed at various venues including Central Park and the Vancouver Convention Centre. 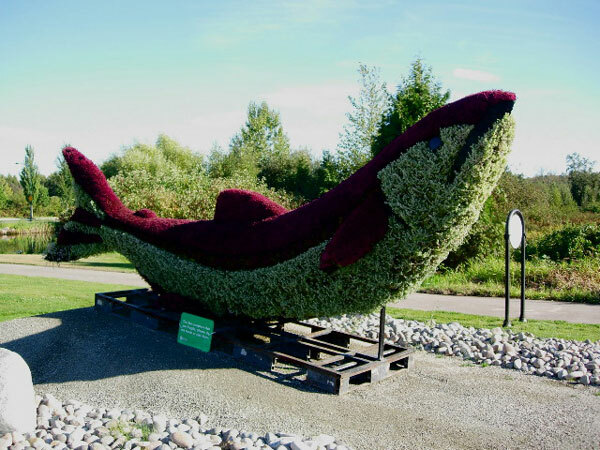 I followed this with another Eco sculpture for the City of Port Coquitlam. 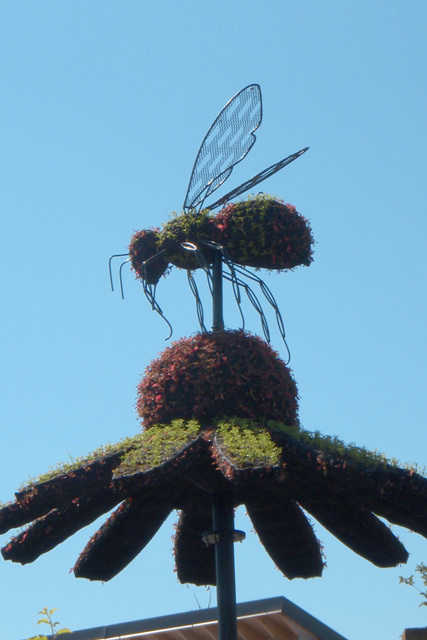 The 12 foot Echinacea Flower with a 3 foot bee on it was installed at Lafarge Lake in the town centre. 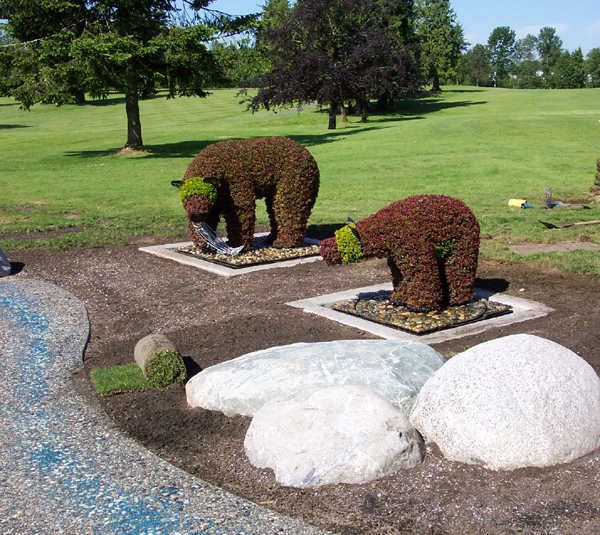 The Eco sculptures including the 20 foot Salmon along Marine Drive and the Bears at the Burnaby Mountain Golf course are all brought in from their sites from Nov-Feb to be refreshed. 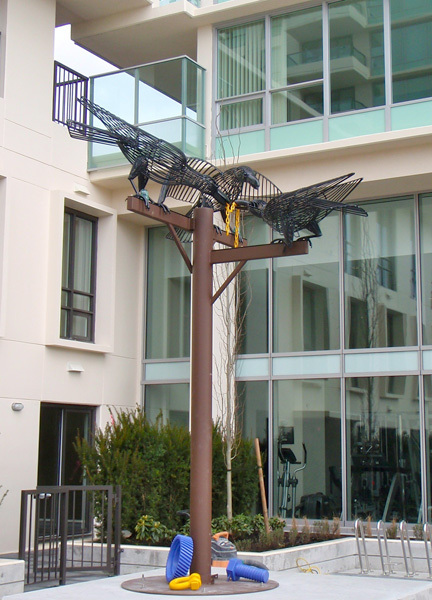 The Eagle, Cormorant and Raven at the entrance of the Barnett Marine Park are a permanent installation and can be viewed all year round. 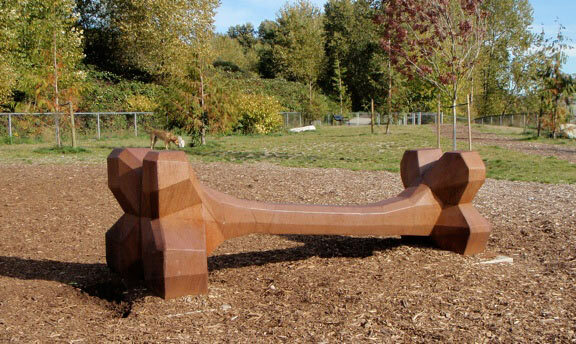 The 12 foot bone in corten steel created for the Taylor Park’s dog off leash area is also permanent. Private and public commissions make up a good portion of my work. 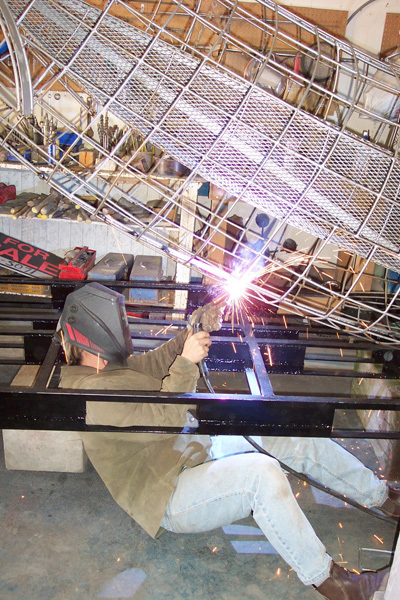 I enjoy the challenge of creating something for a specific space or event.